You may remember the name Johnny Weissmuller has a world-class swimmer or perhaps as Tarzan of the Jungle where he appeared in 19 movies. Johnny Weissmuller was first and foremost a world-class swimmer that had won 5 Olympic Gold Medals in Swimming as well as 52 National Championships and he set 76 World Records back in his day. So naturally there would be a swimming pool company named after the swimming legend. Just the Olympic swimmer, the Johnny Weissmuller Swimming Pools are quality and high performance. The Johnny Weissmuller Above Ground Swimming Pools are made with the most durable parts and construction. 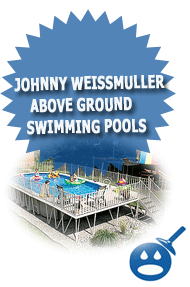 There are 5 Johnny Weissmuller Above Ground Swimming Pools available. The Titan, the Sun Master, the Sahara Oval and the Sahara Round. The Titan offers the customer an extruded aluminum Stealth Support System that is one of the strongest in the industry. 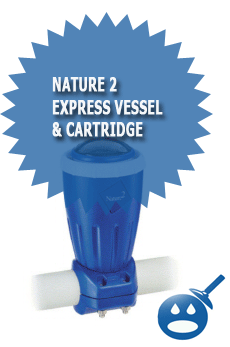 The Titan offers a 52″ wall height and a deluxe Coral Seal Liner. The Titan Above Ground Swimming Pool offers a heavy-duty extruded aluminum interlocking walls for extra strength and performance. The pool comes with a single piece of extruded aluminum for the anchor plate and a single piece for the bottom rail. The Stiffener and the Structural Uprights are all made from the extruded aluminum. The Coping is a 7″ Bullnose with a special slip resistance finish. The Titan is available in 3 different sizes the 24′ x 15′, 30′ x 15′ and the 33′ x 18′. 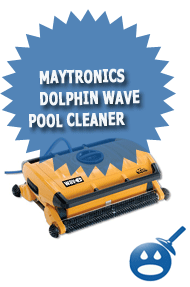 The Sun Master Above Ground Swimming Pool comes with a 52″ wall height and a Coral Sea liner. The Sun Master comes with the same heavy duty extruded aluminum interlocking walls as the Titan. But the Sun master comes with Straight Sides Support System and a 7″ Bullnose Coping. The Sun Master is available in 18′ , 24′, 27′ and 30′. The Sahara Round Above Ground Swimming Pool comes with Extruded Aluminum Top and Bottom Clips as well as Uprights. The Sahara Round comes with an aluminum coping cover and a liner receiver so the liner stays in place better. The Sahara Round comes with 52″ wall height and extra strong aluminum walls. This pool comes in 15′, 18′, 21′, 24′, 27′ and 30′. The Sahara Oval Above Ground Swimming Pool comes with the same extruded aluminum parts as the Sahara Round but the support system is the Stealth Support System and the Extruded aluminum Stealth Support System. The pool comes with strong aluminum walls as well as aluminum coping covers and liner receivers. The Sahara Oval comes in sizes of 24 x 15, 30 x 15 and 33 x 18. The Johnny Wesimuller Above ground Swimming Pools are not for diving and can be customized with Grand Entrance Staircases, Sun deck, Pool Fence, Promenade Walk and even Underwater Lighting. The Johnny Weissmuller Inventory has some great above ground swimming pools; if you are thinking about that backyard investment this summer, start here at Johnny Weissmuller. I bought a pool from american sales 5 years ago. We have had it professionally opened and closed every year. This year over by where the filter connects, theres a big hole on the side. I would like to know if this pool is warrantied for it. We have sent several people after pools after seeing ours, it is our 2nd one. I believe that 5 yrs is not a very long time to have this type of pool and to have this happen to it. I have contacted american sales and they had me send pictures and they said they were going to send it on to you. We still havent heard anything, Summer is fastly approaching. We do not want to be without a pool. 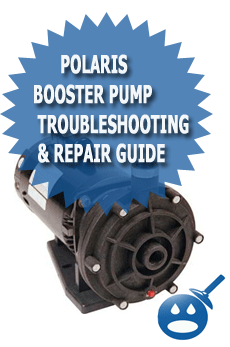 We want to know if you are going to stand by your pool and replace it, or if we need to shop elsewhere. Please let me know. we are in having the same dilemma. Has anyone answered you on where to find JW bottom track. thanks for any help you found. Teddy Bear Pools has Parts for Esther Williams and Johnny Weissmuller above ground pools. Esther Aluminum parts are no problem. Some Johnny parts are a little hard to come by but are being made for us. Give the parts department at Teddy Bear a call. we,ve had our sun master 18′ since 1990 and have had to replace the liner 2 times, i have no complaints, we swim, my kids swam, and now the grandkids swim. we bought our pool from f. i. m. all those years ago. great product, 1990? yes, 1990! We bought a Johnny Weissmuller pool in 1998 the pool was to be warrantied for 40 years (what a joke) in June of 2004 when opening the pool I noticed some oxidation along the lower 4 inches of the pool wall in one area so I contacted Delair Group LLC & sent them pictures. They replied in a letter that they had given their engineering dept. the pictures & they claimed that the damage was caused by inadequate drainage around the pool (not even close). Every year since the walls of the pool have been getting more & more holes until now 2010 twelve years from when it was purchased the pool is junk & needs removed & as for the 40 year warranty on the pool they called their Legend it turns out thev warrenty is as worthless as the people that manufractured the pool. If the problem was from poor drainage why are the 15 holes all over the wall at different hights. They should have replaced the pool in 2004 when it was 6 years old instead they chose to brush off the problem. Never again will there be a Delair product on this property!! !Very poor product by very poor people!! We bought our pool in 1997 and seven years later, the same thing happened, we had a bunch of tiny holes in the pool wall. Delair Group paid for half the price of a new wall. We were stuck paying for the rest and also had to pay to have it installed and for a new track on the bottom of the pool. The salesman at American Sales told me that in the making of this JW pool, they used a different process or solution in the coating of the wall. Of course, Delair had no idea what he was talking about. We purchased a Johnny Wessmuller pool four years ago with professional installation from American sales. We are in the process of opening the pool, and noticed that the two panals by the skimmer are bent. I am so disappointed as we purchased this pool for it’s warranty, strong uprights and strong walls. I would hope that this pool would have lasted a long time. Four years does not seem to be enough. I certainly hope that this problem can be resolved quickly. My parents bought a JW pool when I was 7 and I am now 31. THe pool has stood all these years and I am moving it to my house now. WHat a great product! My 10×15 Easter Williams pool, which I love….has just collapsed. We were putting in a new liner and the side caved in…we need a “strap Kick 10X15” Where can we find it, PLEASE. Just make one, Just head over to home depot or lowes and get some sheet metal or metal strips and a pair of snips. Or you could try to order some from where you bought your pool if they sell them. I am looking for replacement decking caps for my pool. I have a 18 x 33 J.W. Titan above ground swimming pool with the walk around deck. The corner pieces are latch under are broken and I would like to replace them. Do you sell these parts? I have an 18×33 J.W. above ground pool, purchased in 2001, The tan pool deck carpet turned black after the first winter. I have tried every cleaner (incuding bleach). I need advice on what caused this, how to replace the carpet (what professional do I look for to do this work), and how to prevent this in the future. I live on Long Island, in NY. I bought my J>W>Pool in 1984. The titan with interlooking wall. I have never replaced anything. The liner is faded from choline but has never had a hole. The Wall is still very nice and have had NO problems at all. We have had many fun years with our pool. My kids are married now and they still come to swim including their dogs. Great Pool.